Established in 1975 Champion Imaging Group is one of Canada's leading producers of larger format colour graphics for the advertising, retail, display and signage industries. We provide our clients with the latest and best in reproduction technology. In recent years, we have added state-of-the-art digital technology to give our clients better products and faster service. At the core of our operation is the revolutionary Durst Lambda system which produces high quality photographic prints on a variety of materials. We are able to print directly from a digital computer file and output with exceptional speed and image quality. Our Lambda system and new Durst Rho 80 inch revolutionary UV curable Ink, direct to board and roll to roll printer, gives us the opportunity to fulfill any visual needs.To compliment our digital large format imaging systems, we have added a state of the art digital die-cutting system. This allows us to custom cut or router almost any material for any indoor or outdoor use into any shape or form. We are the only production house in Canada with two full size Lambda printers. 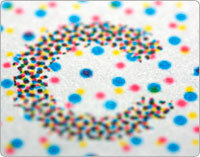 In addition, we offer high resolution scans, design and graphics and a full mounting and laminating department. We offer full service turnkey with installation teams across Canada. We also offer project management and mass distribution across North America. In recent years we have partnered with quality manufacturers and have a large stock of major brands of display units. From Pop-Up Systems to retractable and non-retractable banner stands - we offer a one stop solution. Quality to the finest grain! With a diverse and dedicated client base in Canada and the US, we help our clients save both time and money with highest quality imaging delivered on time and on budget. From indoor quality posters to outdoor banners and signage, Duratran backlit displays and fabrics, Champion’s offerings are limited only by your imagination.